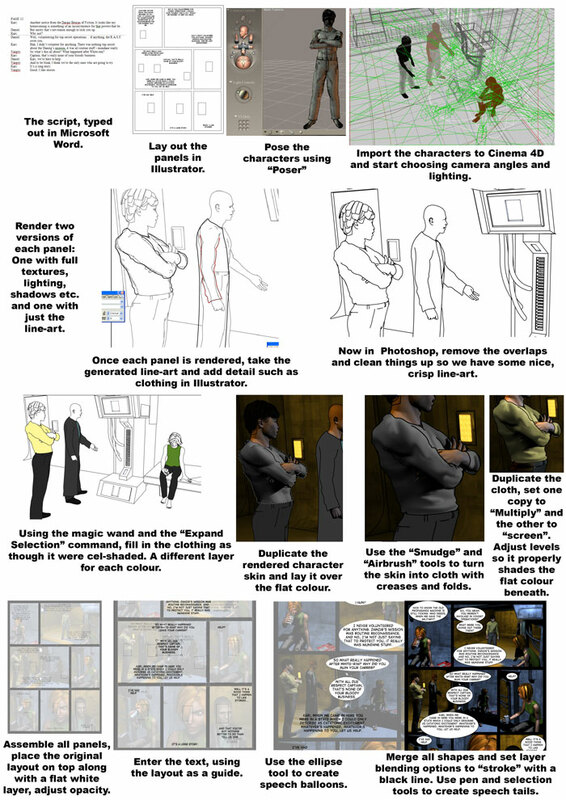 A very brief and rough overview of the steps involved in putting a typical page together, in this case it's Page 12 of chapter 2. It doesn't cover every step and glosses over some very complicated procedures, but it should give you a general idea of the process. There's a very cool article about Crimson Dark in the inaugural issue of Spacesuits and Sixguns, well worth looking at. The Annual Web Cartoonist's Choice Awards are about to get rolling, so if you produce a webcomic of any description then make sure you're registered to vote. This is a great way of acknowledging some of the wonderful work that's being done out there - more often for love than for money. Remember the contest, and the poll in the forums.